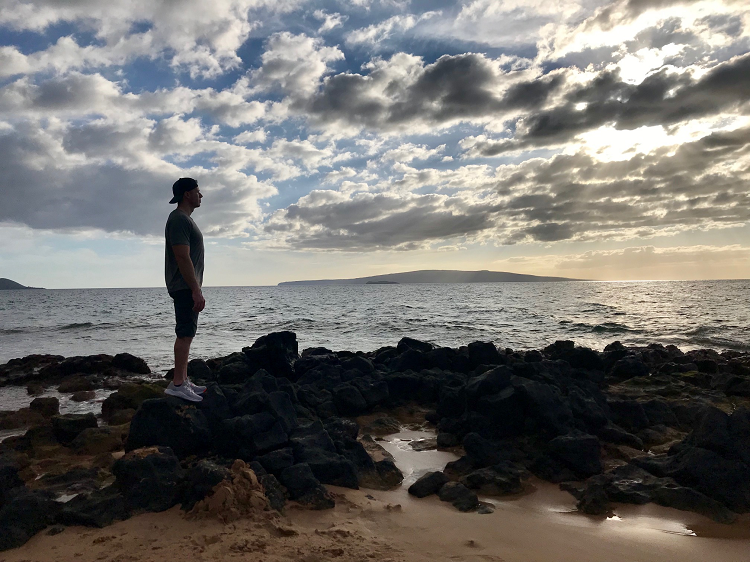 Last month, Daniel and I traveled to the tropics to visit the beautiful Maui yet again. We had gone in December 2017 also, and we were so excited to be back for another round of snorkeling and seafood indulgences. 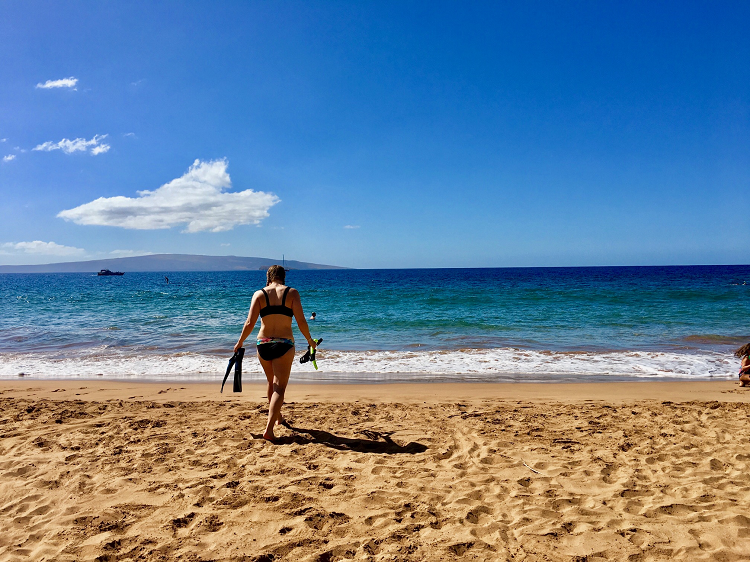 In 2017, we stayed up in Ka'anapali on the northwestern side of the island but we ended up loving the snorkeling on the southwest side of the island best--down by Kihei/Wailea--but it was at least an hour drive down there each time, making for a 2-hour round trip just for some snorkel time. 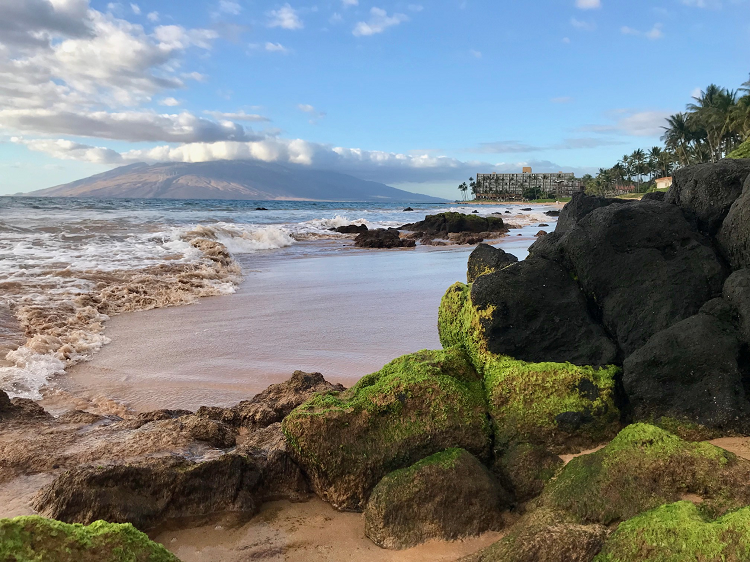 To bypass the commute, we opted to stay in Kihei this time around and chose the Mana Kai Maui as our destination. Now, Mana Kai Maui was a hotel we booked on Expedia (Daniel is our personal travel guide), and it looked just okay from the Expedia photos. To be honest, we booked our trip pretty late and the Mana Kai was one of the only reasonable options left for us. It was either this hotel or a condo (which sounded really appealing), but I was intrigued by the gym that Mana Kai offered so that's the option we went with. It turns out, the Mana Kai is A-MAZ-ING, and we were so happy we went with it. The oceanview of Mana Kai Keawakapu Beach is pictured above. One of the best parts about the hotel is that we were on the 2nd to top floor, so we had a great view of the northern half of the island. The downside was that if it was windy, our room had a bit of a drafty breeze that swept through it, but overall our room was amazing, the pool was nice and refreshing, and the hotel was on the best snorkeling reef we found this time around in Maui. If you don't stay at the Mana Kai but want a GREAT snorkeling reef to visit, go check out Keawakapu Beach. 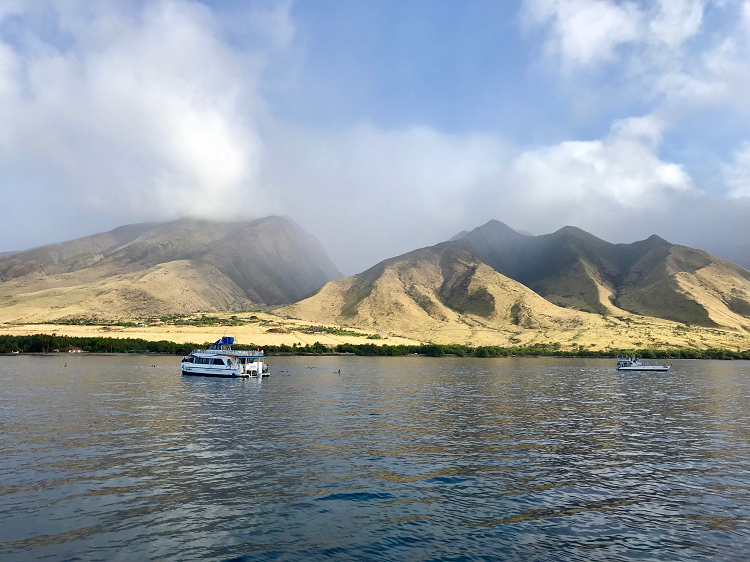 Our favorite part was snorkeling and checking out the turtles and reef life while listening to the whales singing under the water--what an experience. Another beach that we loved last time and loved even more this time was Poo'lenalena Beach. Just a few minutes south of our hotel, this beach is beautiful and wasn't ever too crowded. We always rent our snorkel gear for the week from The Snorkel Store (they're amazing, go visit Rob there in Kihei!) and then just take it with us on our adventures. There were tons of turtles, and I mean TONS, and we snorkeled on both sides of the beach. One of our favorite things was scavenging for discarded shells under the murky depths this time and we found some pretty sweet little treasures to take home. As you guys know, we are foodies and we LOVE ice cream. Our favorite spot this time was Cones on Kihei and they serve up some delicious Lappert's ice cream. We went there three or four times over the duration of the week and got the same flavors each time--cookie dough (staple for us) and peanut butter cup ice cream. 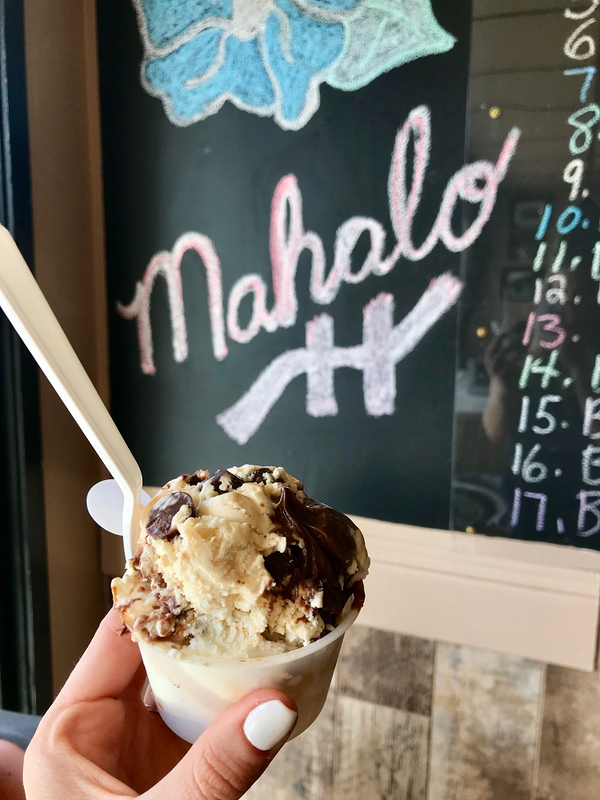 Another ice cream favorite was the Sweet Shoppe Kihei. When you walk in, they look like they only do gelato, but that's just how it's served. It's real, homemade ice cream and it was fantastic! Our days on the island were pretty simple. We'd wake up each morning and hit the really nice hotel gym (seriously the nicest hotel gym I've ever been to) before it was time to go in the water. Then we'd shower off, eat a big of breakfast and watch some NFL football highlights (it was our championship Fantasy Football week, after all! ), and then hit the beach. 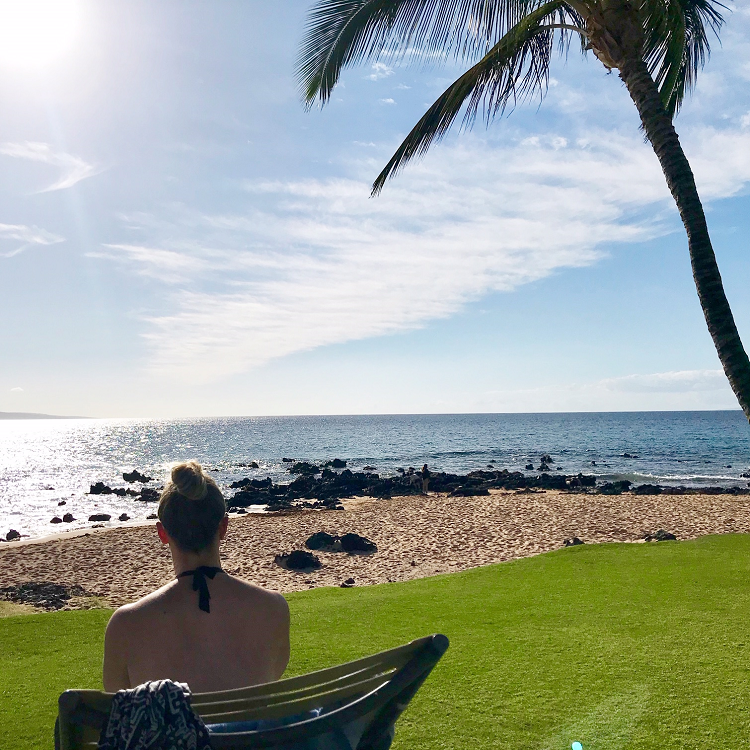 We'd spend a couple hours rotating between sunbathing and snorkeling (at least an hour of snorkeling each day) with absolutely no agenda in mind or any place to be. I don't know if I've ever been so relaxed (or tan, for that matter!). 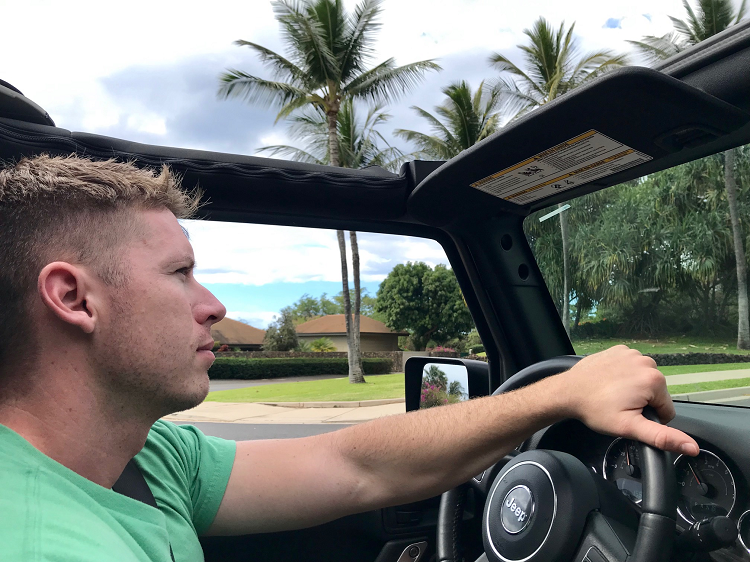 After we had gotten our daily dosage of sun, we would always hop in the Jeep--top down, of course--and hit up one of our favorite seafood spots. 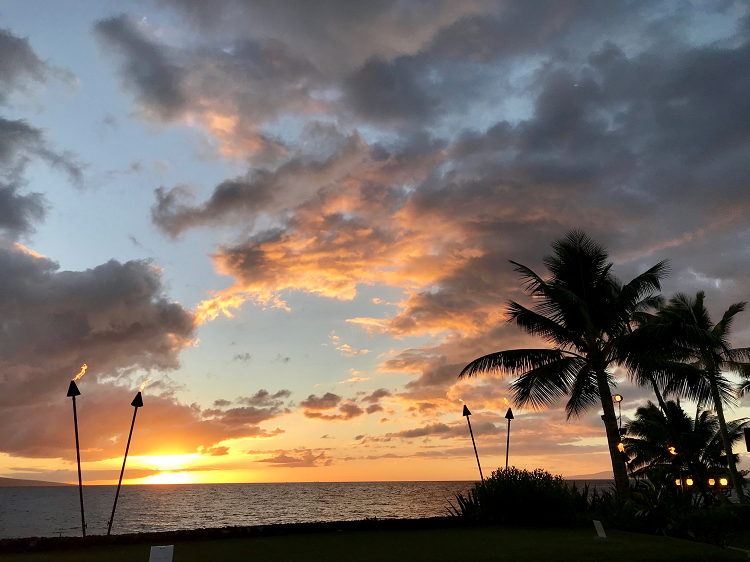 Last year up by Ka'anapali, we loved Down the Hatch in Lahaina. Their Lava Lava Shrimp were absolutely to die for. This year in Kihei, Coconuts Fish Café was our go-to. In fact, I think we went there three different times to eat their fish tacos (I loved the "taco mountain" which was all the fillings of tacos but no shell). We also really liked the fish 'n' chips at Maui Fish 'n Chips in Kihei. Man, their batter was nice and doughy, and the fish was so tender. MMMMmmmmm fish! We'd finish almost all our evenings sitting on Keawakapu Beach outside our hotel, sipping cocktails and watching the sun set. There was a gentlemen there who would get all the way into the ocean as the sun was setting, a 20oz Fosters in his hand, and sip his can of brew until the sun went all the way down. It was too chilly for me to even think about getting in the water at that time of the evening, but like a champion--he was out there each evening just doing his thing. I overheard him tell another couple that he lives at the Mana Kai and does that every SINGLE evening. Just incredible. Last year, we took a trip out to Lanai with the Hawaiian Ocean Project on a snorkeling day trip. We loved that trip and the dolphins so much that we wanted to go back again this year. Unfortunately for us, that day presented us with the worst weather we had the entire trip. We woke up to raging winds, rain, and chilly temps. But the show must go on, right? So we boarded the boat with promises that they'd at least take us "somewhere cool," and that they did. We ended up snorkeling down south of Lahaina close to the legendary "Mile Marker 14." After the wind died down and the sun came out, we were able to snorkel for an hour in the deep, clear water. We didn't see anything like we saw on our trip last year, but it was still an amazing experience and the staff with the Hawaiian Ocean Project do such a good job with their trips. They served us lunch and gave us free cocktails and we were happy clams out on the open water. We even saw a couple humpback whales on our trip back to Lahaina. Any trip with those guys is always worth it. 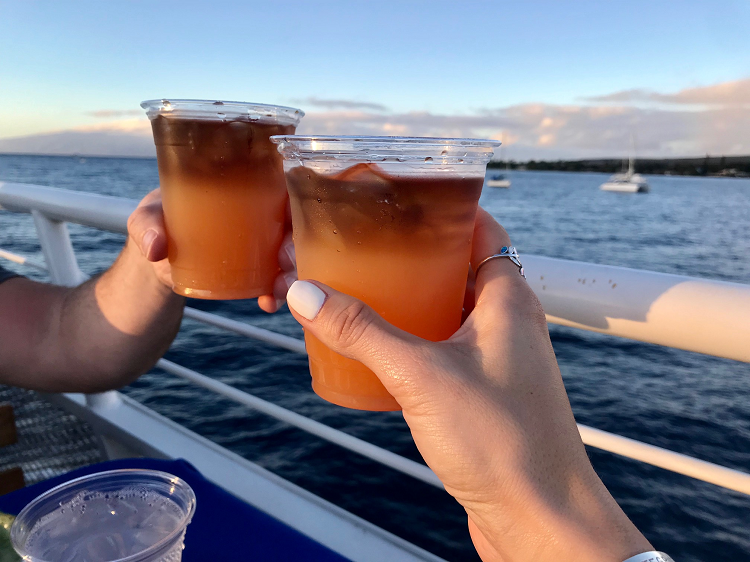 We love the Hawaiian Ocean Project so much that we also decided to do a Lahaina dinner cruise with them, too. 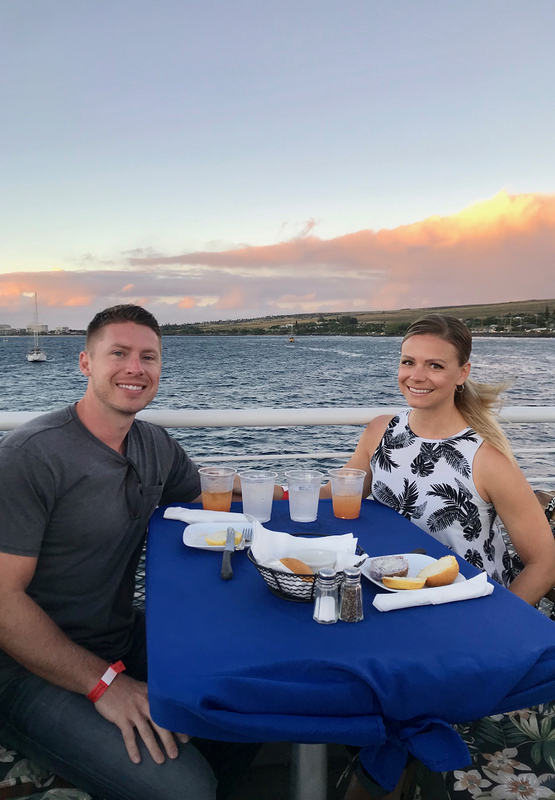 It was very cool because we boarded the ship, apprehensive about the evening winds that so often sweep the coastline of Maui in the evenings, but we were greeted with the nicest evening of our entire trip. We were served complimentary Mai Thais upon boarding (thank you very much! ), and were treated to an exceptionally nice three-course meal over the course of the evening. We had salad, I had mahi-mahi (Daniel had prime rib), and we satiated our appetites with cheesecake and more cocktails for dessert. 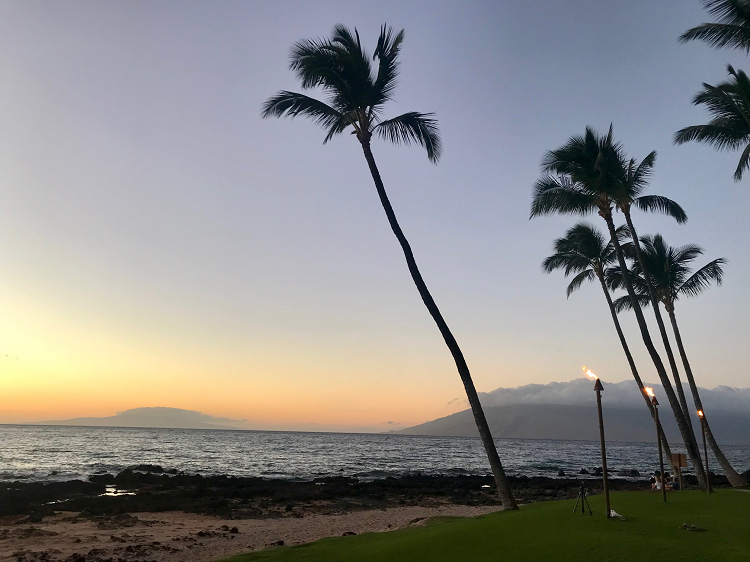 We toured the waters around Lahaina, watched the sun set, and then enjoyed live music under the moonlight before returning back to the harbor. 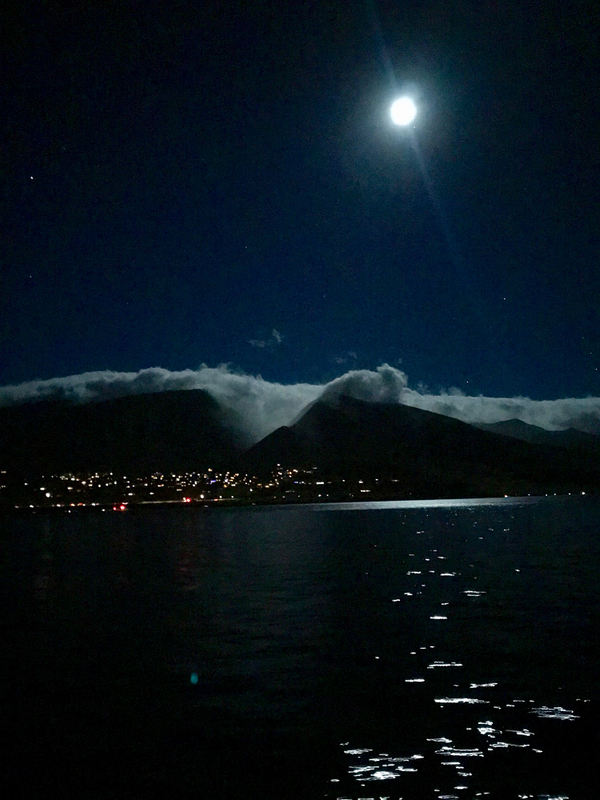 To say that the dinner cruise was the absolute BEST experience of our trip would be an understatement. It was romantic, delicious, and something we plan to do again next time! Now, Daniel has been to Hawaii a couple times, but he has yet to go to a Luau. 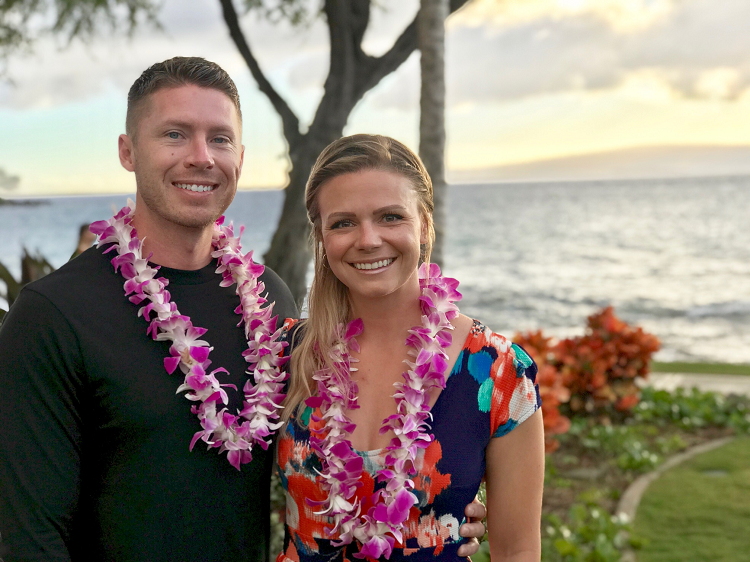 We were so excited to get to go to the Te Au Moana Luau in Wailea. We loved it because it was very close to our hotel, so we took a "Turtle Ride" down there so we didn't have to drive and could fully enjoy the night. 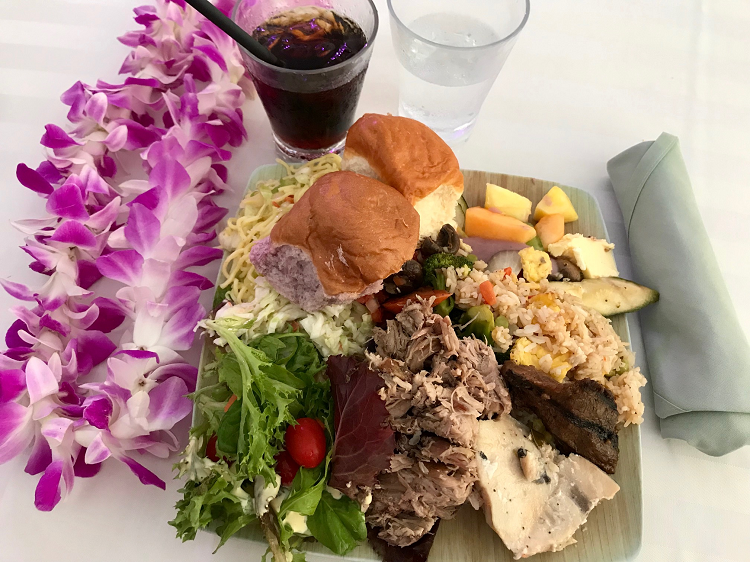 With free cocktails and the most delicious luau food, we did not go home disappointed. The show was incredible, the dancing was amazing, and I even took home a really cool faux tattoo from one of the craft tables (it's not real, don't worry Dad!). 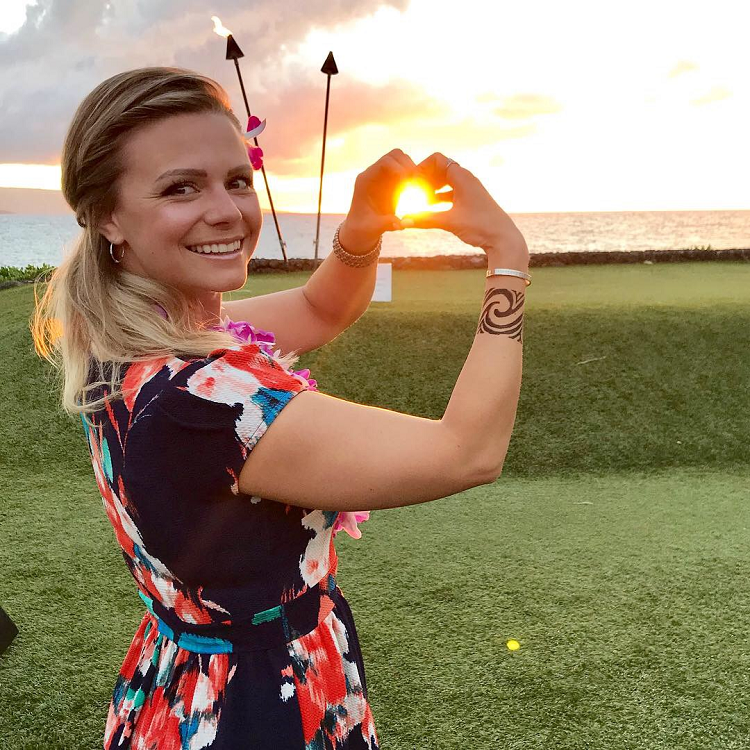 Of course I had to emulate the infamous Taco Bell commercial and do a "sunset heart hands" pose at the luau. I'm the worst, I know. 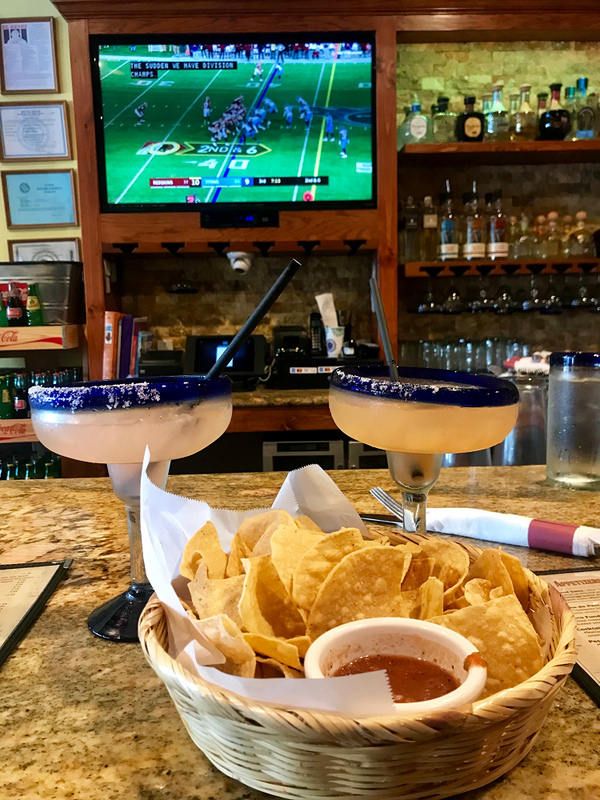 On our last day, we snorkeled and sat on the beach, our usual, and then finished the evening off with some margaritas and football at Roasted Chiles in Kihei.The food there was really good, and the bar-side service was even better. I had a watermelon margarita first and a "roasted chile" margo second. They were the perfect cap-off to our Hawaiian vacation. There's so much more to our vacation, but some of it is best kept for our memories. 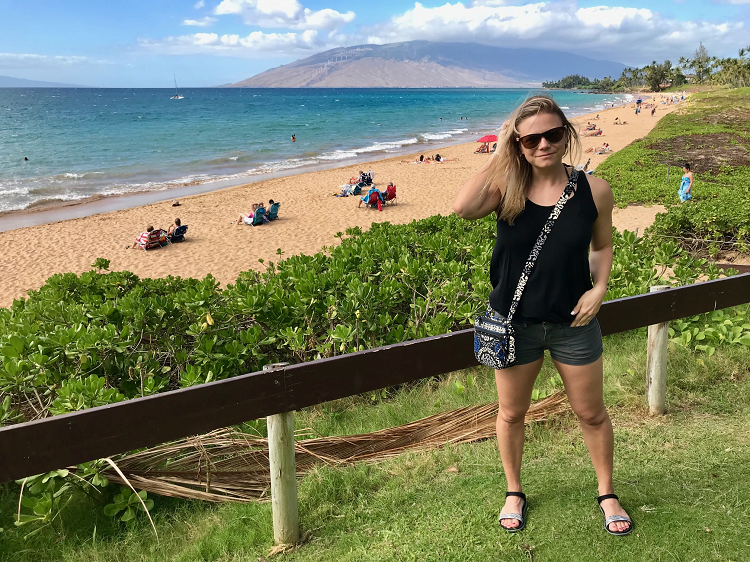 If you guys are visiting Maui and have any questions or suggestions, hit me up in the comments below. All I know is I'm soooo looking forward to our next trip--whenever that may be. Until next time Maui, aloha.